How are disputes resolved within retirement villages? Your retirement village should have a list of rules and a protocol that covers disputes between a resident and management; and resident to resident. Disputes with management: The Retirement Villages Act requires each village to have a dispute resolution procedure which must be followed in the event of any dispute between and resident and village management. SARVRA also suggests seeking advice from SARVRA as similar situations may have been resolved previously. Disputes between residents: Procedures should include discussion about the situation between the parties with the goal of resolution with both winners. Does the Village Manager have the right to come into my unit when I am not there? Absolutely not. Except in the event of an emergency, or you have given written permission. Without your permission, the village manager may not allow trades people the use of a master key to enter your unit in your absence. You have a right under your contract to live in your unit in “peaceful enjoyment”. What right does the Village Manager have to be involved with the activities of the Residents' Committee? 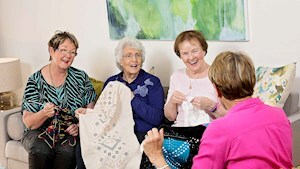 Membership of a Residents’ Committee is confined by the Retirement Villages Act to village residents. The Manager may be invited by the Residents’ Committee to attend committee meetings and Resident Meetings that have been called by the Residents’ Committee. Management is obliged to call an annual meeting of residents, which the manager organises and chairs. Can SARVRA provide assistance to me in the selection of a retirement village? SARVRA cannot directly assist you with the selection of a village. However, we recommend you attend one of the information sessions conducted by the Catalyst Foundation at which SARVRA contributes on the speaking panel. Call (08) 8168 8776 or 1800 636 368 to book your place. You can also read Retirement Housing – Information for Residents which is a publication issued by the Office of the Ageing (OFTA). Alternatively call OFTA on 8204 2420 for a copy of the brochure. Should you be a member and wishing to move to another village please contact SARVRA if you require advice regarding the transition from one village to another. What are the most important things I need to know when evaluating a retirement village? 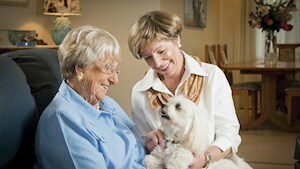 Refer to our page on Living in a Retirement Village for information and questions about evaluating your choices. How can I join SARVRA? As membership is only available to village residents you will need to wait until you have moved in to your new residence. Most villages have a local SARVRA representative who will arrange to assist you with your membership application. If there is no SARVRA representative, you can download the new member application from this website to become a member or apply online. My mother has recently passed away can SARVRA provide advice to me in relation to the sale of her retirement dwelling? If your mother was a SARVRA member we are able to provide guidance for you. Contact SARVRA through this website or call 8232 0422 or 1800 182 324. My father will shortly need to enter an aged care facility. Can SARVRA explain how he can utilize some of the equity in his retirement dwelling to pay the aged care entry fee? Under the new retirement villages act, a resident transitioning to an aged care facility may make application to the village operator for payment of the interest on their redeemable accommodation deposit (RAD) pending settlement of the retirement dwelling. The following link will provide access to a publication issued by the Office of the Ageing (OFTA) entitled Leaving a Retirement Village - moving to a residential aged care facility which provides all of the information you may need. Alternatively call OFTA on 8204 2420 for a copy of the brochure. What is the difference between a retirement village and a residential aged care facility? On the other hand, a residential aged care facility provides personal assistance on a daily basis, including cleaning, meals and medication, and entry is subject to assessment. 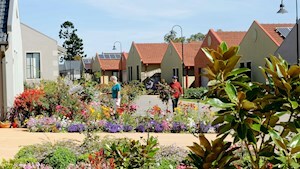 Some aged care facilities can be found adjacent to, or on the same site as, a retirement village. For further information the following link will provide access to a publication issued by the Office of the Ageing (OFTA) entitled Information for residents and prospective residents. 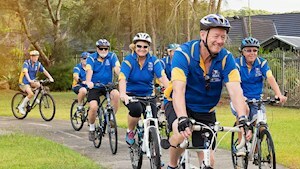 What is the difference between a retirement village and a lifestyle village? Retirement villages are complexes of residences or a number of separate complexes of residences occupied or intended for occupation under a retirement village scheme. The Act defines a retirement village scheme as one that is established (predominantly), for retired persons and their spouses under a licence to occupy or a lease. For further information the following link provides access to a publication issued by the Office of the Ageing (OFTA) entitled Information for residents and prospective residents. This provides all of the information you may need. Alternatively call OFTA on 8204 2420 for a copy of the brochure. 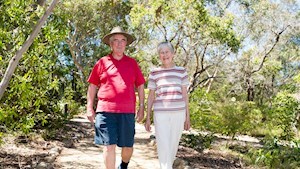 Lifestyle villages are not always restricted to retirees, but many are exclusively for over 55s. The accommodation is usually made up of single-level relocatable homes situated on individual blocks within large, estate-style grounds. 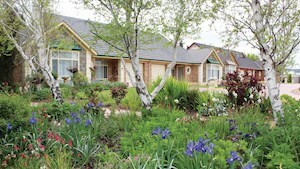 Lifestyle village residents own their home and pay rent on the land. Retirement villages in are set up to operate within the Retirement Villages Act, while lifestyle villages operate under the Residential Parks Act. How can I obtain a copy of the current retirement villages act and regulations? Copies may be obtained from Service SA Call 13 23 24. Are council and water rates included in my monthly maintenance fee? My village manager is not responding to my requests for repairs to my air conditioner which is not working, what can I do? As a first step look at your premises condition (included in your contract) report to ascertain whether this is an operator responsibility. If this is so, submit your repair request in writing asking for a response within 10 days to include when the repairs will be undertaken. Should action not be forthcoming speak with the chairperson of your residents committee. If this fails you will need to get the Office for the Ageing (OFTA) to approach the operator on your behalf. OFTA may be contacted on 8204 2420. What kind of fees and charges may I have to pay as a resident of the village? The components of you monthly fee and the amount thereof vary from village to village. The following link provides in details the fees you will most likely be required to pay whilst a resident of your village. Alternatively call OFTA on 8204 2420 for a copy of the brochure. How do I resolve a dispute with the village operator? 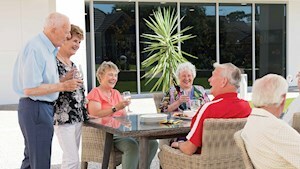 From time to time disputes or disagreements may arise between operators and residents in retirement villages. It is always desirable that disputes be resolved as quickly and amicably as possible. Click here for access to the OFTA publication Living in a retirement village – dealing with disputes. Do residents have a say in the running of the village? The operator is required to obtain the consent of residents before certain actions may be taken. Consent can only be obtained at a meeting of residents. The residents committee cannot give consent on behalf of residents. How can our village set up a residents’ committee? The function of a residents’ committee is to consult with the operator of the retirement village in relation to matters of interest to residents and to represent the interests of residents. SARVRA is able to assist with an inaugural meeting of residents to set up a residents’ committee. SARVRA will provide templates for the agenda and the minutes of the meeting. OFTA have produced a publication entitled Best practice for retirement village residents’ committees. From time to time some residents’ committees for a variety of reasons become unworkable and in many instances fold. SARVRA has had considerable success with the reformation of village committees, we are only pleased to assist with a restorative process if called upon to do so. What do the residence rules cover? You must be provided with a copy of a village’s residence rules before you enter into a residence contract. An operator must also give you a copy of the residence rules on request. See the following link Moving into a retirement village - residence rules, or call OFTA on 8204 2420 for a copy of the brochure. What if I want to leave the village and how do I end my village contract? Extensive information in relation to leaving the village, including an option to stay whilst your residence is being marketed and your obligations during this period are contained in the OFTA brochure Leaving a retirement village. If your concerns are not covered here please contact SARVRA. We are here to assist you. SARVRA are here to help you to find the ideal retirement village that suits your needs, and to continue to enjoy your lifestyle as the years progress.